Dr. Ronaldo de Guzman is a board certified family physician and a member of the American Osteopathic Association, American College of Osteopathic Family Physicians and the New Jersey Association of Osteopathic Physicians and Surgeons. 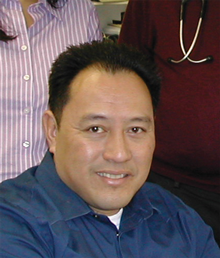 Dr. de Guzman graduated from the New York College of Osteopathic Medicine in 1994 and completed his residency training at Peninsula Hospital Center in 1997, where he served as Chief Resident from 1995 to 1997. After residency, Dr. de Guzman relocated to South Jersey and joined Meetinghouse Family Physicians and became affiliated with Virtua Health Systems. Dr. de Guzman enjoys teaching students ( he was a preceptor for the University of Pennsylvania Primary Care-Family Health Nurse Practitioner program since 2009). He also enjoys golfing, bowling, computer games, modifying his “Audi S5,” watching soccer, and most of all spending quality time with his family.